Three writing teams produced twelve different scripts and this was the one they went with! 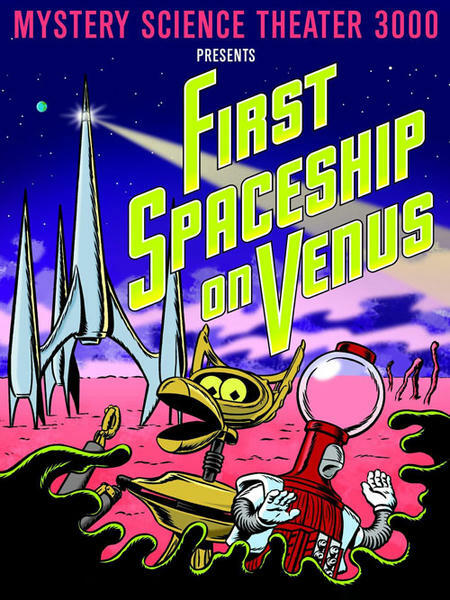 Turns out the greatest scientific discovery of the last decade was actually just a spaceship from Venus. There’s only one thing to do: launch an unsuspecting group of astronauts to the molten planet of course! All the charms of well meaning but poorly executed sci fi are here: incomprehensible yet annoying robots, an overly echoey narrator, a computer that looks suspiciously like a Slurpee Machine, and, most important of all, little-to-no science! All this, plus the soothing of fierce gorillas, sarcasm adjustments, and festive holiday foods! 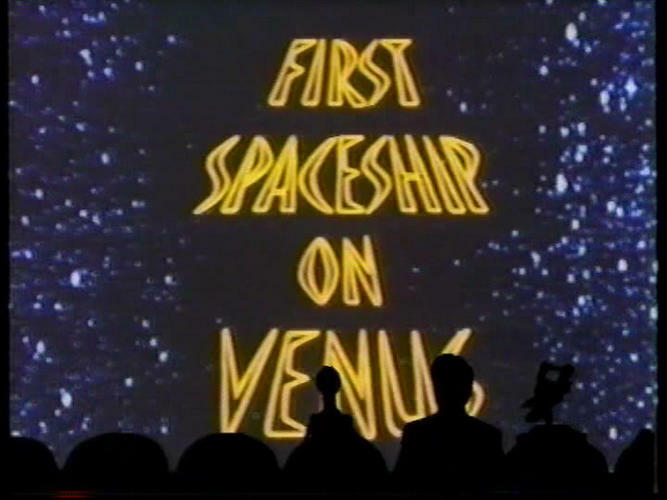 Join Joel, Servo, and Crow as they rev up the engines of the First Spaceship on Venus!